This is a unique collection of leading examples of education grounded in alternative philosophies and cultures. 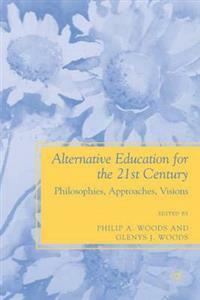 No other current volume discusses the diverse options for alternative education in one strong collection. International scholars discuss the histories and contemporary states of different alternative education institutions such as Montessori, Steiner/Waldorf, and Quaker schools.This is a unique collection of leading examples of education grounded in alternative philosophies and cultures - from initiatives to create more democratic schools, through Quaker, Buddhist, Islamic, Montessori and Steiner/Waldorf schools, to Maori and First Nations education in Canada and Palestinian Jewish schools in Israel.